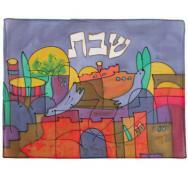 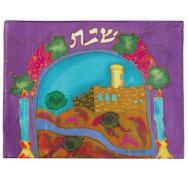 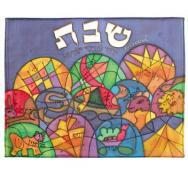 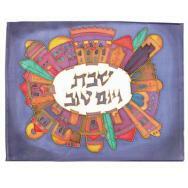 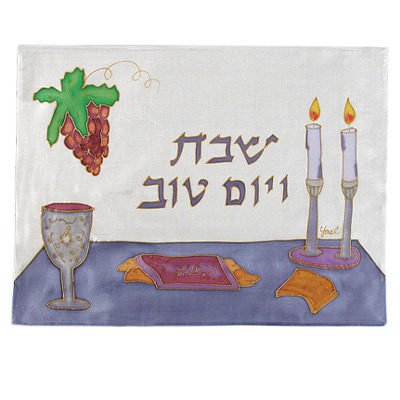 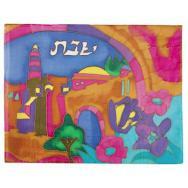 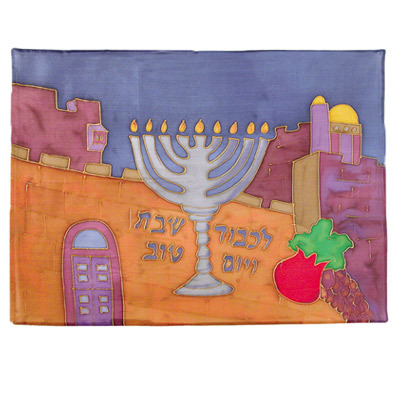 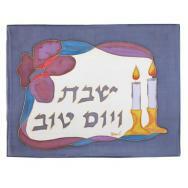 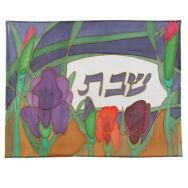 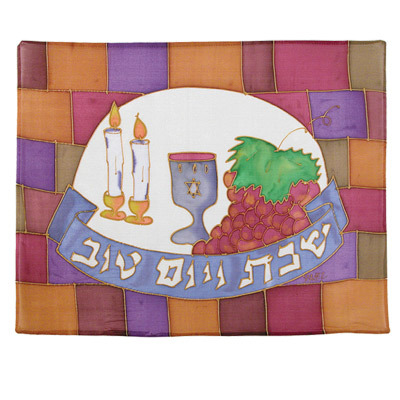 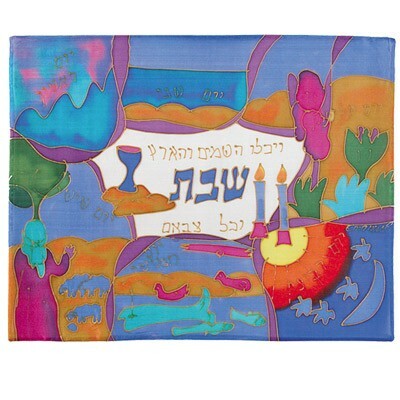 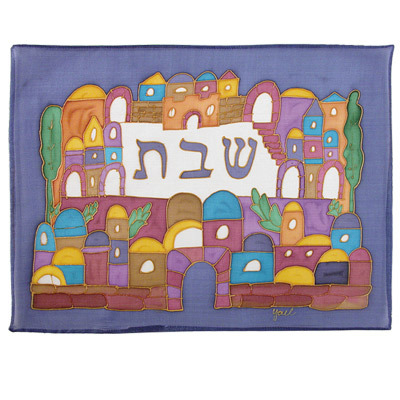 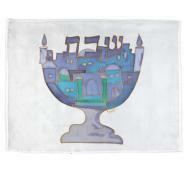 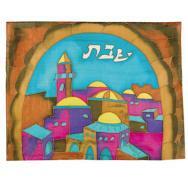 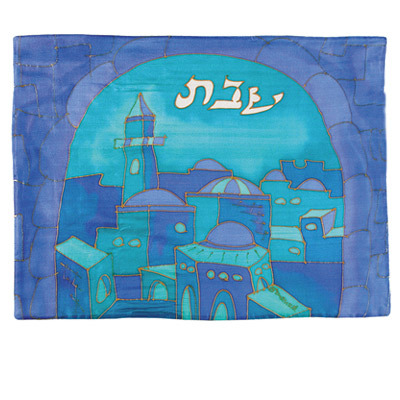 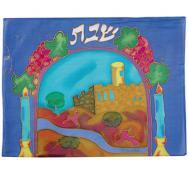 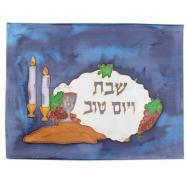 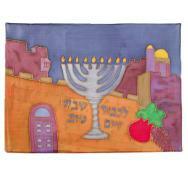 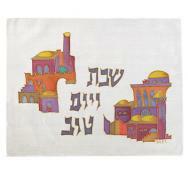 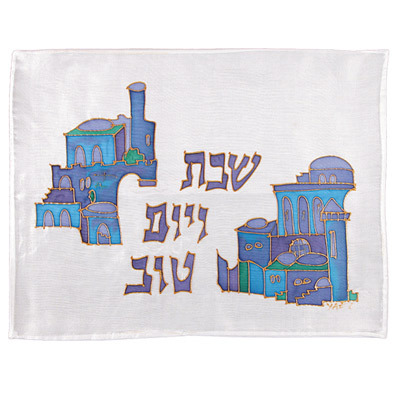 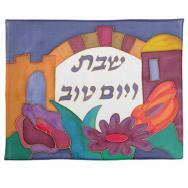 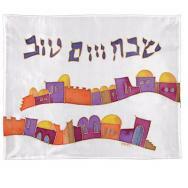 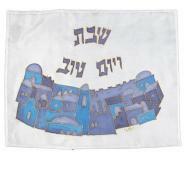 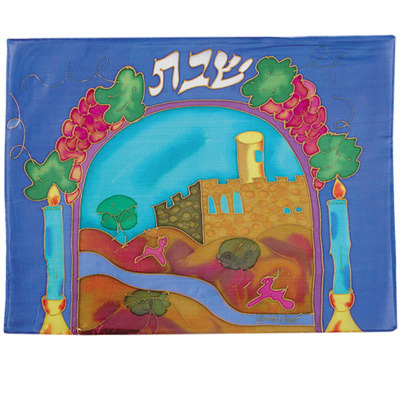 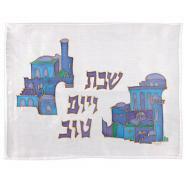 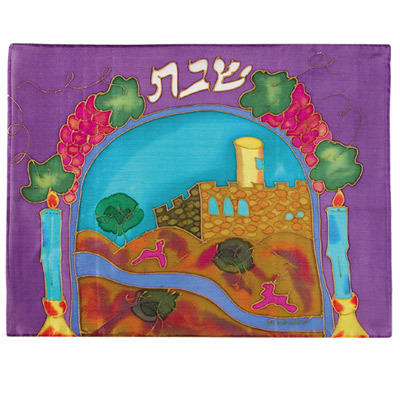 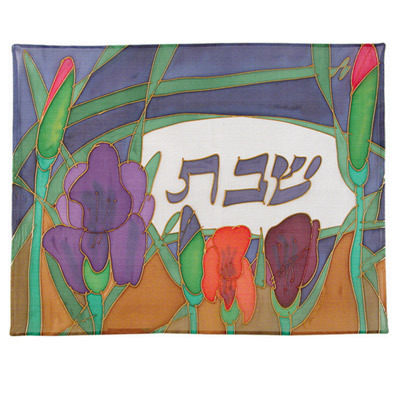 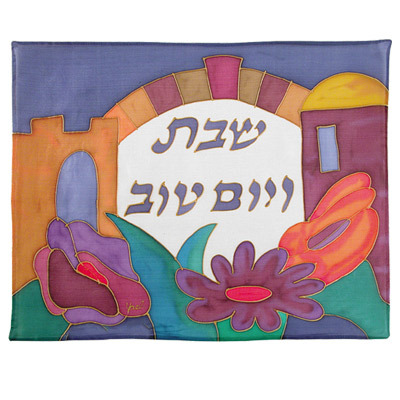 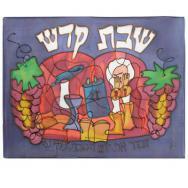 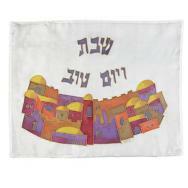 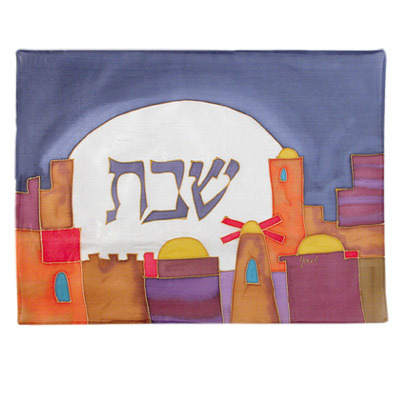 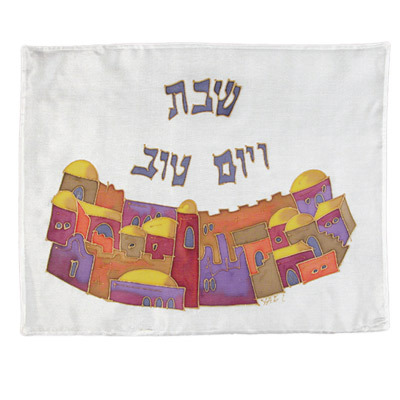 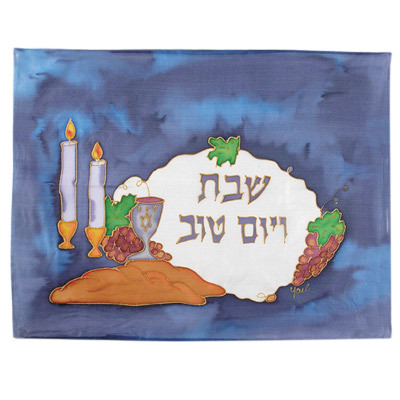 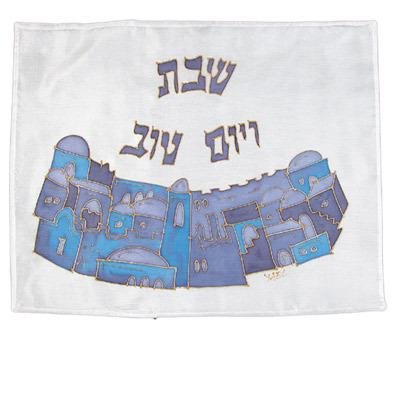 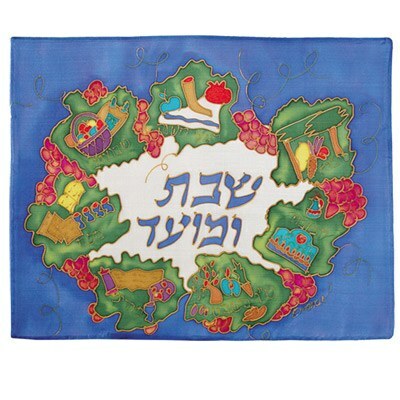 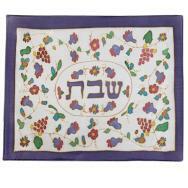 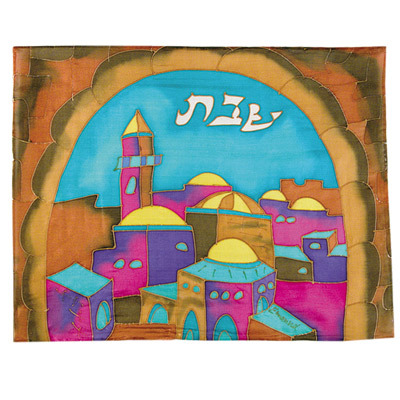 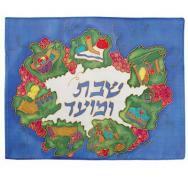 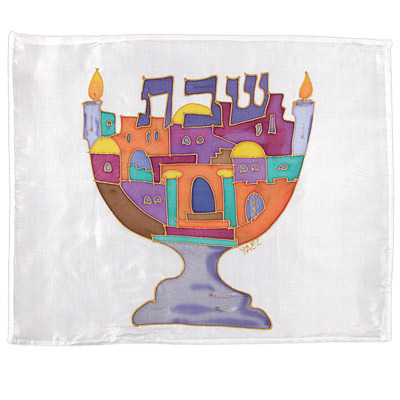 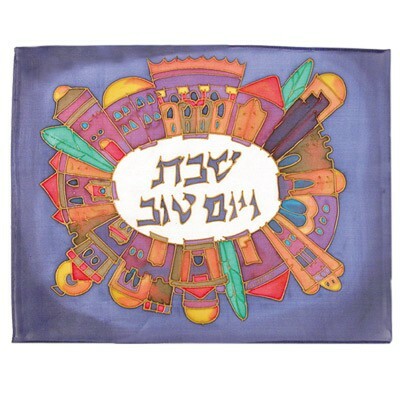 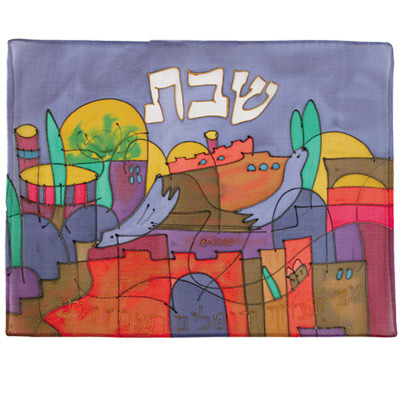 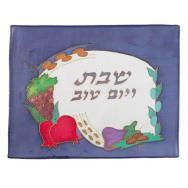 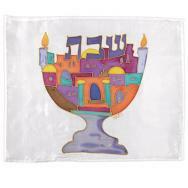 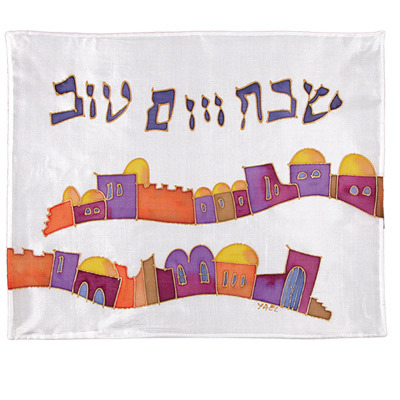 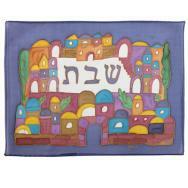 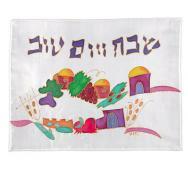 Yair Emanuel’s challah covers are hand painted, using silk dyes over pure silk. The challah covers are decorated in colorful patterns, rimmed by golden and black lines. 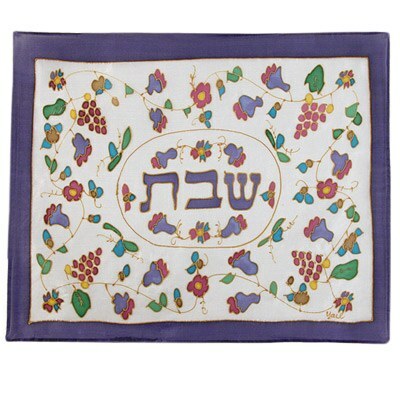 The challah covers undergo a process of fixation that preserves their colorfulness over time. The patterns on the covers depict the city of Jerusalem, the Twelve Tribes, and Jewish other motifs. 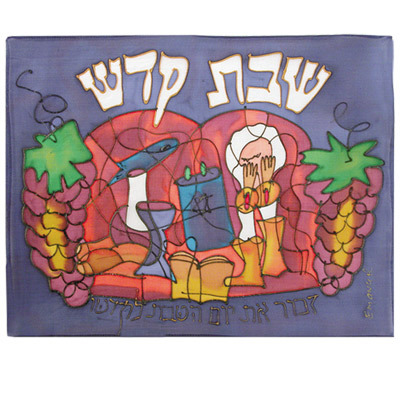 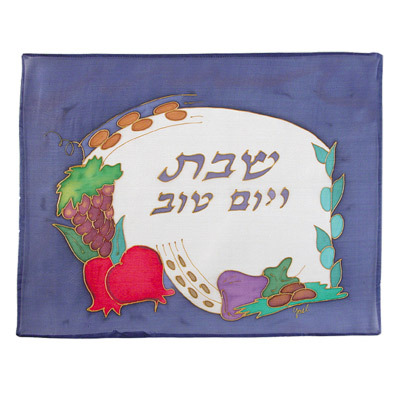 The words “Shabbat VeYom Tov” (Shabbat and Holidays) are written in the center of the challah cover.